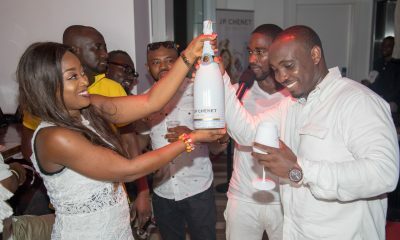 Some of the biggest and fastest rising Nigerian stars stepped out in style on Easter Sunday when Limelite Records officially launched as a record label, recording studio and a lounge in Lagos. Oshmann is a Hip-Hop artiste with the right attitude to connect with his audience mostly from the streets with his mixture of Yoruba and English language rap flows. He has a single titled Oro (Word) which is also gaining huge airplay and downloads on radio and social media platforms alike.